In addition to gaining life experience, seeing new places, and immersing oneself in a new culture, studying abroad has several career, education and lifestyle benefits. Furthermore, a study abroad program helps develop an independent lifestyle. From increased earnings to better job prospects, an international education, does not just enhance your language skills, but also gives you the chance to take home the most valuable skill set that employers look for in a candidate. Study abroad students return home with a renowned interest in lifelong learning. However, the most significant aspect of studying abroad is the increased understanding of your own culture and values. Mentioned below are some of the reasons why pursuing an international education can prove to be useful to you. Studying abroad provides you with the opportunity to experience a different way of teaching from the one that you had back home. Although this may seem intimidating at first, it will open your mind to new and different ways of learning. Meeting people from around the world is one of the most important parts of studying abroad. Maintaining a good relationship with your professors is valuable as their expertise and connections will benefit you all through your studies and thereafter. Furthermore, the people that you meet and the friends that you make will remain part of your life and this will greatly help you expand your network. International connections can open doors to several opportunities. Along with building rewarding friendships, the connections that you make are the most valuable asset and will help you in your career. Out of the many benefits of studying abroad, the most crucial one is the impact that it will have on your professional career. International experience is an impressive part of any resume. Prospective employers are looking to hire candidates that have completed their education abroad. 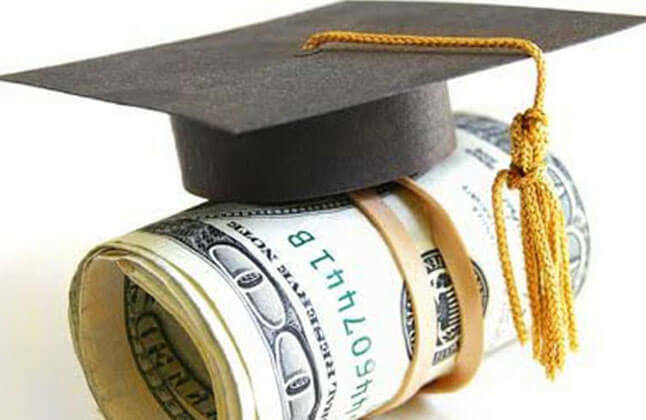 Moreover, research shows that students who have completed their education overseas, are not only among the top most earners, but also hold higher position in companies as compared to those who have not pursued an overseas education. Additionally, if you have studied in a country with a developing economy, you will be able to respond promptly to an evolving industry. An international education gives you the chance to experience a different culture. The locals that you meet and your daily encounters will show you just how different cultures and traditions are elsewhere. Travel makes up a large part of your study abroad program; it opens you up to new people and their way of thinking. Potential employers consider a second language a valuable asset to an employee's skill set, as they're able to connect with a wider range of people. Being able to converse with a client from another country will be looked on favourably by employers. Mastering a foreign language provides you with better insight into the local culture and also introduces you to several kinds of new opportunities. Students who have studied abroad state that they developed their language skills either by taking up internships or by living with a native. An international education gives you the chance to interact and study with people who see the world differently. Being able to work together in a group and sharing different ideas helps develop your overall people skills, which is a necessity in today's market. Living in a foreign country, also helps you deal with challenging situations, the ability to be able to adapt to new situations will serve you well in life. A study abroad program will help you gain an entire new perspective on the world and how to deal with people. A study abroad program makes you independent as it prepares you to live in a different culture. Pursuing an education in a foreign country helps you build character and also contributes significantly to your personal development. Further, an education overseas boosts your self-confidence. You learn to be organized and responsible; it gives you the opportunity to provide for yourself while learning to manage your finances. "Going abroad has benefited me in more ways than I thought was possible. It is an opportunity that everyone should grab. Edwise has made it all easy and possible for me"
"Before beginning my overseas education, I was a very shy person. However on completing my studies abroad, not only was I able to confidently speak to people, but I also landed my dream job, pursuing my higher studies abroad definitely helped me tremendously. I am really glad I made the decision of studying abroad and I sincerely thank Edwise for all the help provided"